Tyson's reports have raised the awareness of the Argent Dawn. 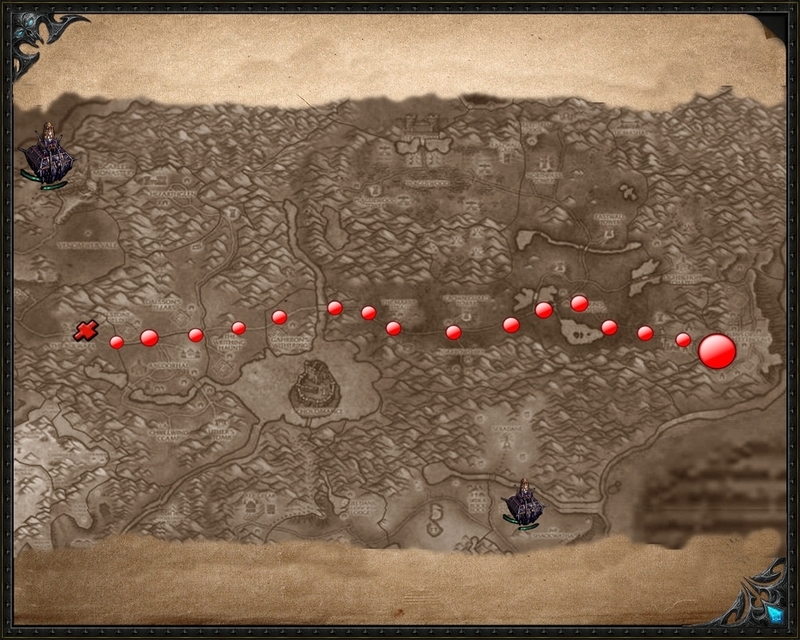 It is now more clear than it has ever been that the Lich King's minions are behind the advance of the necropolises. Kel'Thuzad, the master of Naxxramas, has sent out the lesser necropolises to spread the plague and rain death from above in their wake, bolstering the ranks of the Scourge. Our once loved ones - now turned into mindless skeletons and ghouls - follow them wherever they go as agents of destruction. We will not sit idle while they take over our world and cover it in darkness. The Argent Dawn has started recruiting champions to aid our cause. 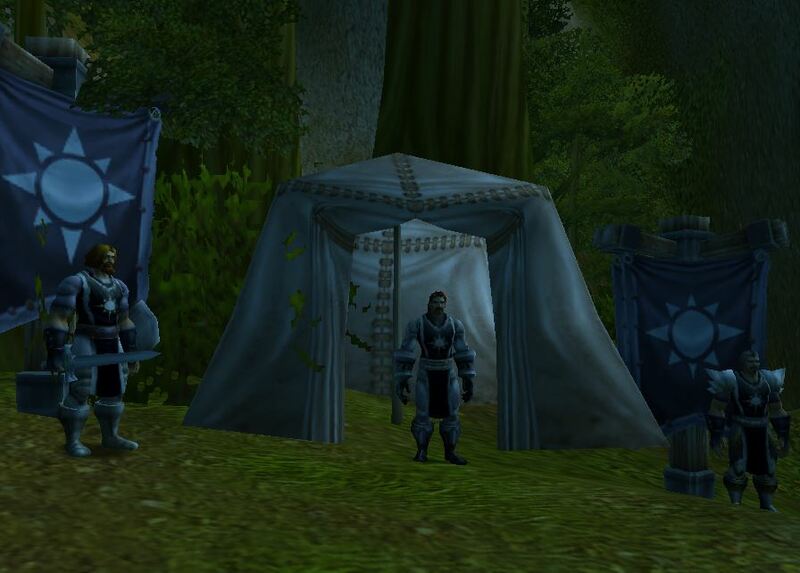 Committees of our Order are stationed at Undercity and Stormwind, herding those who wish to help us fight the Scourge. Meanwhile, Tyson's intuition about Telxannar seems to be true. 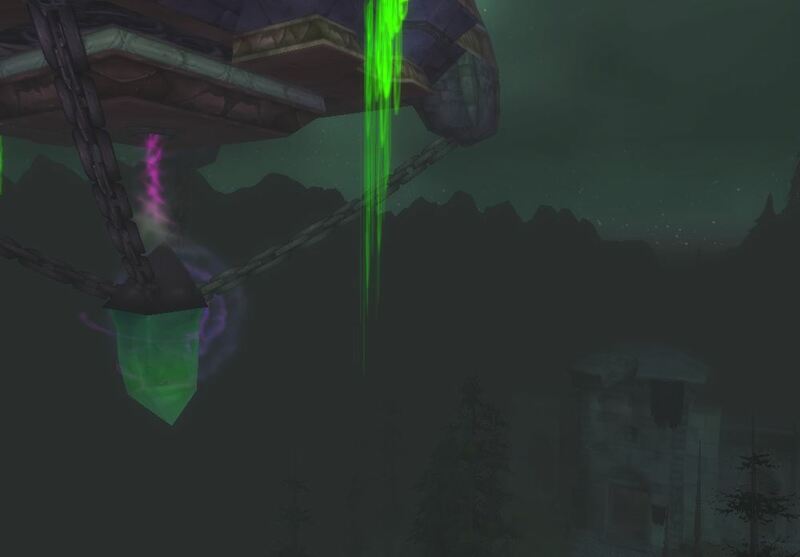 The Argent Dawn base of operations has received reports from the rangers of Undercity - Telxannar is on the move. 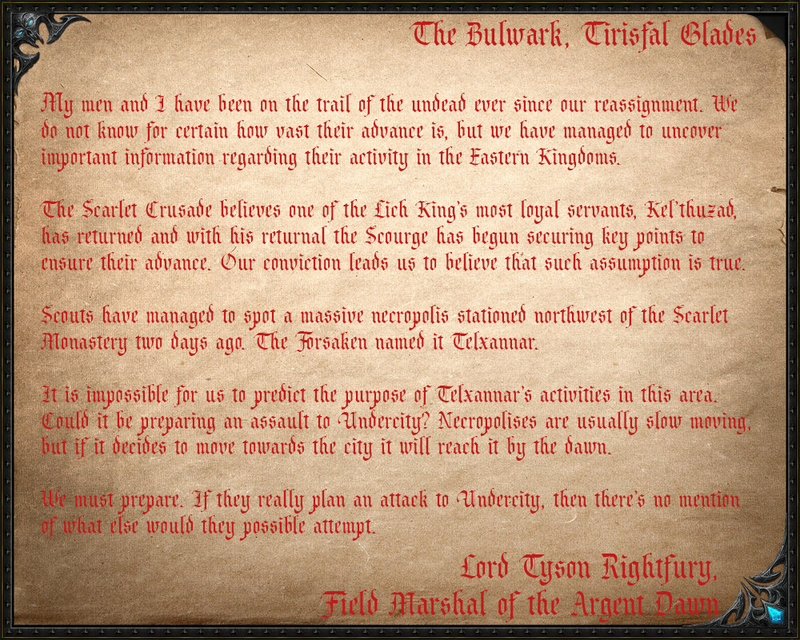 The people of Undercity should prepare themselves, the Scourge is likely to be upon them by the morning. We'll stay alert for any news from our champion and the advance of the Scourge.